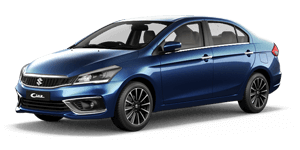 Shivam Autozone is a Premier Automobile dealership, headquartered in Mumbai, India. The company deals exclusively in Maruti Suzuki vehicles, the highest selling automobile brand in the country. Started in July 2011, with passion in our heart and fire in our belly, the Shivam Autozone group stands tall as one of the leading Maruti Suzuki dealerships in Mumbai. We’ve come a long way since we first burst onto the car-dealership horizon. Since then, we’ve not only explored the entire market spectrum, but conquered new vistas in the realm of selling Maruti cars. The Shivam Autozone Group seeks to fulfil the precise needs and requirements of a wide demographic of consumers, thereby delivering a matchless service experience to all those who place their trust in us. This outlook and brand strategy has made us the indisputable leaders in the business. Cars are not just our business, they are our very soul; they are the life-blood that cruises through our veins and the drumbeats that make our heart sing. 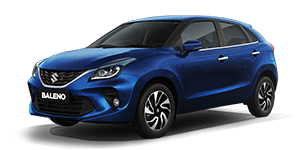 At Shivam Autozone, we deliver everything related to Maruti vehicles – selling, servicing, insuring, accessorizing, financing, buying or exchange of your old Maruti cars, Maruti Driving School (MDS), and lots more. Our ever expanding customer base and fast growing network are testimony to NEXA Shivam Autozone’s incomparable customer service. Providing maximum convenience and high quality customer service is paramount for us. We, therefore provide excellent training to our staff and arm them with precise and ample skills, to ensure that customers get the highest degree of satisfaction when they come to us. At Shivam Autozone, we don’t just sell cars, but are single-minded in our purpose of making customers for life. And it is what sets us apart from competition. ‘Live the change’is not just our brand philosophy but our brand promise; committing a fulfilling and enduring relationship with our customers, partners and all stakeholders. A company is defined by its team. In order to provide leading-edge service to our customers, we have brought together an eclectic, skilled and gifted bunch of individuals, each one bringing to the table, a vast measure of talent and proficiency. Our team consists of a strong senior management with years of experience at the highest levels, in a wide spectrum of roles. These are the folks who effortlessly combine technical knowledge, business expertise and innate creativity. Team Nexa Shivam Autozone is like a world-class football team. Different players, different skills and abilities- but when they come together, they create magic. SHIVAM AUTOZONE INDIA PVT. LTD.
Director, SHIVAM AUTOZONE INDIA PVT. LTD.
Mr. Samir Jani, founder of Shivam Autozone and business tycoon par excellence, juggles many hats with elegance. Apart from nurturing the company from foundation to its present stature, Samir Jani also runs several other ventures with equal success. He is Director in Global Buildcon Private Limited, a prominent construction company, and is a major shareholder in Shivam Megastructures Private Limited. Passionate about driving and speed, he is the perfect example of deft leadership & willingness. His best and very evident quality is his humility which makes him the utmost liked, respected and successful Leader. Management , SHIVAM AUTOZONE INDIA PVT. LTD.
Mr. Harshad Tank, an integral part of Shivam Autozone management, boasts a Master’s degree in Transportation Design from Istituto Europeo di Design (Turin, Italy). His intense sense of design, deep passion for designer cars with relentless pursuit for excellence have helped Shivam Autozone achieve new milestones in business. With his finely honed skills in management and keen inquisitiveness, Harshad Tank excels in extracting the best out of the best in the Shivam Autozone hierarchy. A speed freak & a lover of luxury cars, Harshad Tank is a proud owner of 7+ super luxury cars. Apart from Shivam Autozone, he runs several other ventures with equal dexterity. Mr. Jal Langrana is one of the leading lights of the Automobile and Finance industries. Having started his career in this field in 1994, he has garnered a huge expanse of experience in the industry. During his much-celebrated journey, he has had the longest experience of 9 years with Maruti Suzuki, apart from working with reputed conglomerates like Mitsubishi, Mahindra, Honda, etc. His career has come full circle ever since he returned to Maruti, by joining NEXA Shivam Autozone. Jal Langrana, with his vast experience, gifted business sense and skilled people-handling attributes, has helped Nexa Shivam Autozone become a formidable force in the automobile industry. Mr. Bhavik Parekh is a qualified Chartered Accountant with special interests in Finance & Accounting . His conviction has helped Shivam Autozone to quickly ascend up the accomplishments ladder, notching one outpost after another, and rise to the highest level, from the day it was inaugurated in the year 2011. Having worked on myriad profiles, from Managing Company Accounts to Heading Sales to currently handling the entire Finance of the Group, he brings to the table clear focus, keen planning skills and strategic analytical abilities. His ardent commitment & relentless efforts with meticulousness have helped Shivam Autozone to garner several milestones & Awards from Maruti Suzuki. The Nexa Shivam Autozone premises are chic and tastefully designed. The luxuriously appointed interiors are a classy black and white, to bring out the beauty of the cars in all their glory. In the monochromatic setting of Nexa, the car is the star! Technology powers the process of car buying for customers, making it faster and immeasurably simpler. Ultra-advanced tablets, car configurator, mirroring screens, the owner’s app, are few vital tech features that make your car buying experience seamless & personalized. The Nexa hospitality is the stuff of legends. Pleasantly engaging and extremely polite staff greet customers at the door. At Nexa Shivam Autozone, we hear, understand and are attentive to your needs. That is what true hospitality is, the Nexa hospitality. At Nexa Shivam Autozone, your needs and desires take precedence over everything else. Our helpful and well-versed Relationship Managers take you through the paces in selecting the car you want and personalizing it to your taste. Forging life-long relationships with customers is their forte.